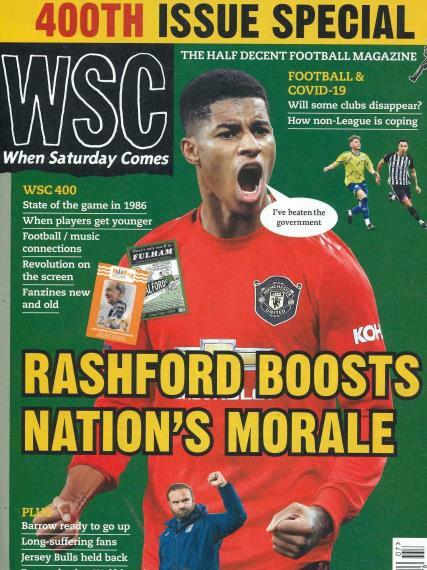 When Saturday Comes is advertised as a “Half Decent Football Magazine.” The magazine is full of articles and commentaries are a bit funny and “out-there” but they make the game of football not so serious – and much more enjoyable. When Saturday Comes Magazine discussed the game it remarked that Newcastle was an unhappy venue for Norwich City. Just a bit of casual commentary. Read more in the magazine about managers being “tipped” off by the media when a big job opening comes up. I guess this means that managers trade jobs all the time? You will also be able to read in “Shot” about the first home game for the Sons of the Rock in Dumbarton. Fashion statements are also included in When Saturday Comes Magazine and features photo spreads of jerseys with two-stripe sleeves and colorful and branded pants. Footballers just want to be noticed and be fashion conscious. Cute articles about players sharing a hotel with Barcelona players. Plenty of players being seen in this article. Read about the hurdles of the Olympics between Mexico and US. You will also see team photos of Dutch clubs in the 1960s – the photos are very unusual! A gift for people but they have said it is an excellant magazine.